About the only negative of our lifestyle, living on our boat and the freedom to travel wherever we want, is that occasionally we're away from our family on holidays like Thanksgiving and Christmas. Such was the case this Thanksgiving. 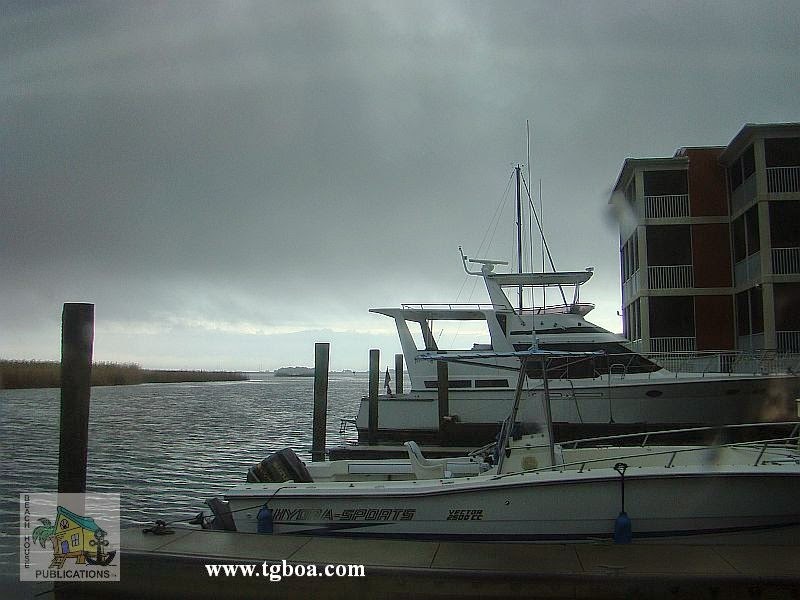 We have been sitting at the dock in Apalachicola, Florida for almost two weeks waiting for the right weather window to cross the Gulf of Mexico and the Big Bend region of Florida. We had hoped to be farther along and be able to spend this holiday with family. It was not to be, but just because we aren't able to spend the time with our first family, doesn't mean we can't enjoy the holiday with our boating family. For this Thanksgiving, the traditional dinner turned out to be a rather large gathering. Whoda thunkit. Here we sit in Apalachicola, Florida, waking up to temps in the 30s and overnight freeze warnings. The winds have been howling out on the Gulf of Mexico and the seas have been way up, keeping us sitting at the dock for over a week. It only seems like a few days since we left Demopolis, Alabama and retraced our steps back to the Gulf Coast. The reality is that it has been 18 days and we have only covered 465 miles. Under normal circumstances, we could easily do twice that many miles in the same amount of time. 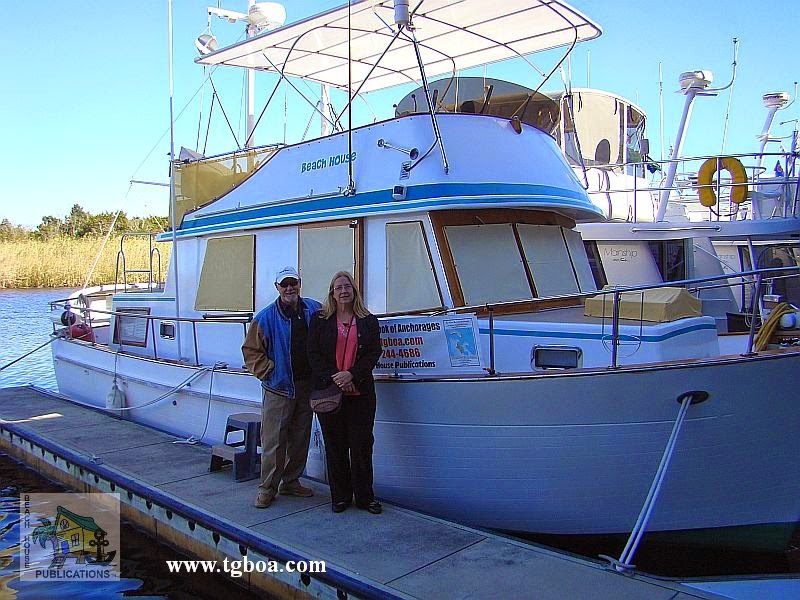 To get where we are today required us to transit two locks, visit nine anchorages and free town docks, spend three nights at a marina in Alabama, one night at a friend's dock in Panama City, three nights waiting for weather at the docks at White City and spending a week here in Apalachicola. And it looks like we may be here for another week. In preparation for our current cruise, one piece of safety equipment we installed was a raw water flow alarm made by Aqualarm. The alarm is attached to the intake for the raw water to the engine and, in theory, will sound an alarm when the flow stops to the raw water pump. We wanted this installed to give us a heads up that there is a restriction in the water line or some other problem BEFORE the engine overheats, causing possible severe issues and major expense should there be an overheating problem. In a little more than 12 months we noticed that the alarm was no longer working. It generally sounds when turning on the ignition key at start up. The sensitivity is adjusted by sliding a sensor back and forth along a plastic tube plumbed into the water intake. There are no moving parts involved. After trying to do some adjusting, it was apparent the sensor had failed. 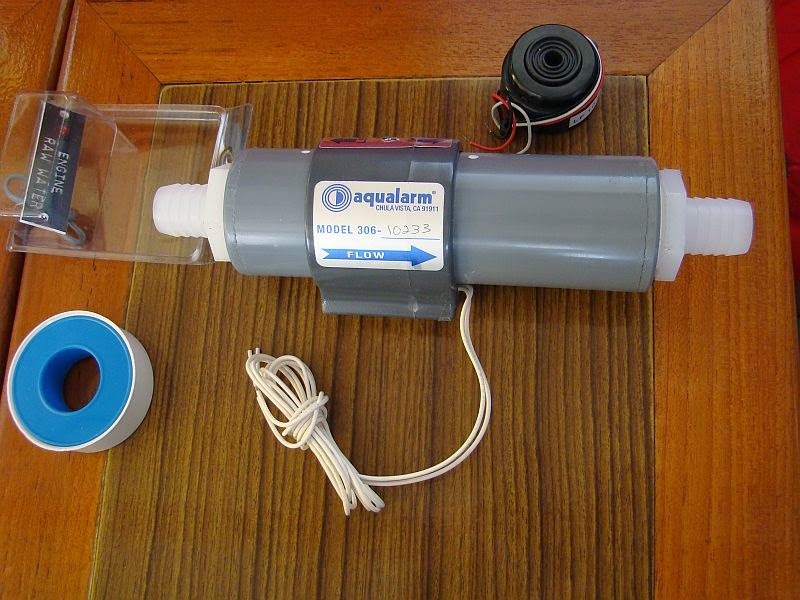 We contacted Aqualarm and noticed first of all that they have totally redesigned the flow alarm and it now has a paddle wheel instead of a sensor. Their response to me was that they redesigned the unit because of problems like the one we are now having. But the rest of the response was pretty much, "that's too bad, buy another one." I doubt seriously that I will buy another piece of equipment from a company that made an inferior product and when it fails, tells customers that it's tough luck, we're not going to help. So we'll be looking for a replacement from another manufacturer that builds a better quality product and is more responsive to customer problems. In a previous post we did a review of some products we had purchased made by Moeller Marine Products. That review can be found here, http://trawler-beach-house.blogspot.com/2011/11/moeller-marine-products-review.html . Unfortunately we had to buy a couple of 5 gallon gas tanks so that we could carry additional gasoline for the dinghy and these were all that was available at the time. In a matter of months, both of these gas tanks developed a serious split in the plastic near the top of the tank. This wasn't near any seams, so it was a surprise to us. The spit allowed gas to leak out of the tank onto our deck. Had we not been around the boat, this could have been disastrous. 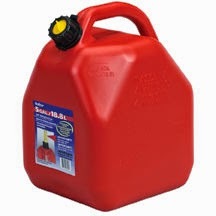 After our experience and that of other boaters we have talked to, we urge everyone to avoid Moeller Marine Products, especially those that carry fuel. Consider the consequences. These products are carried at almost every marine supply store, including large chains like West Marine. It's our hope that these reviews will help others avoid the problems we have encountered.